As we begin our third season of operation in the City of Detroit, we are looking for a number of individuals to fill out our staff of drivers. The team of drivers that we have assembled over our first two years of operation have been nothing short of incredible. They enjoy the work they do. They are super responsible. They make safety a top priority with our guests. And they make sure that their guests have a lot of fun while riding on the bike. 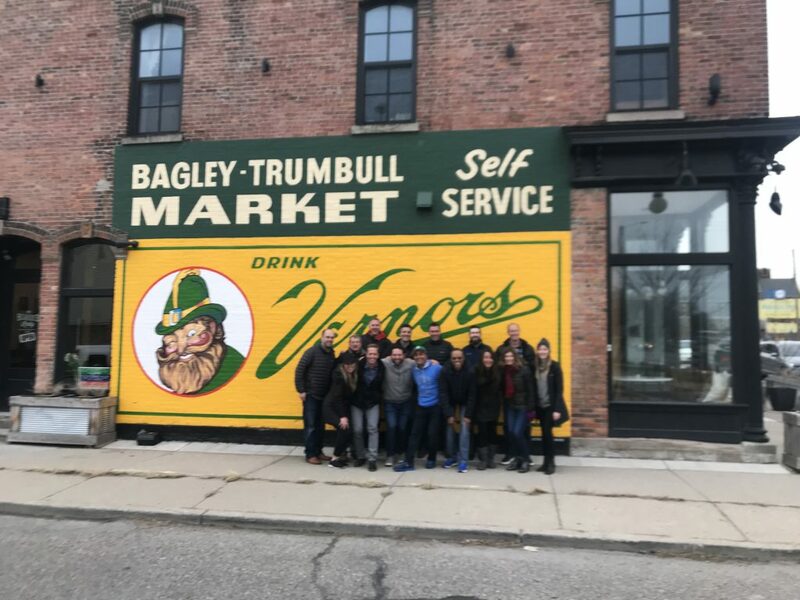 Simply put, they are dedicated, kind, fun and go the extra mile to make sure we deliver on the expectations of our guests. If we could, we would clone the group we have. But we can’t. And we need more people with the same attributes — so we’re looking to hire. Maybe you? We need more people who are great dealing with people, know the city of Detroit, its hangouts and how to get around (or are willing to learn), as well as to know how to be in charge but have fun. The job is a ton of fun. The pay is decent. The tips can be phenomanal. The satisfaction of doing a good job is usually immense. Not every ride is perfect. Not every day is great. But overall, it is a great job and a great experience. If you are SUPER responsible, hard working, dedicated and fun, this might be a job for you. Take the time to complete our application. Full-time summer workers. This means that you would be available to work nearly every week, taking multiple shifts and regularly working Fridays, Saturdays and Sundays. Part-time workers: As a part-time position, you would regularly work on weekends with additional shifts added on weekdays. This is a great “second” job if you already have a full-time gig and are looking to earn more money. You must be 21-years of age or older. You must be super-responsible as we have a very strict attendance policy. 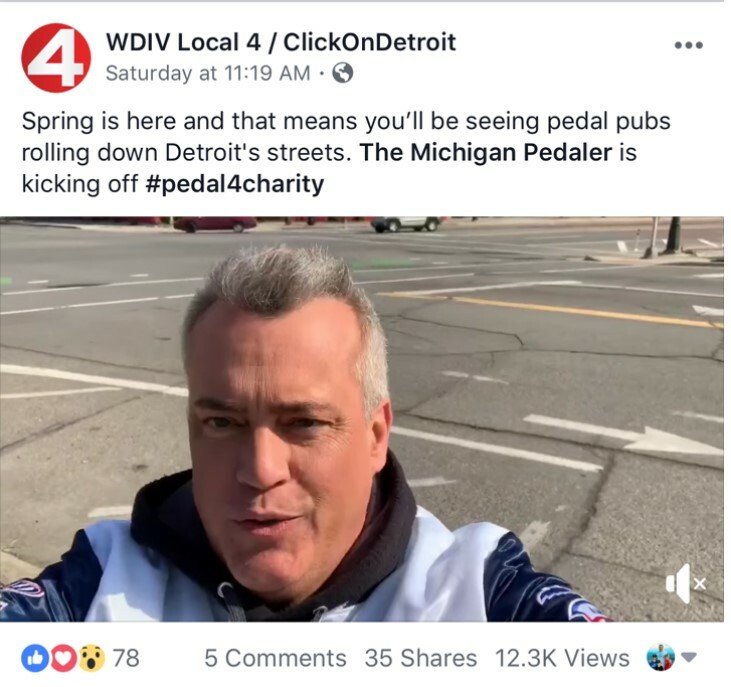 Michigan Pedaler drives host fun events like Bachelorette parties on the bike and are a key part of the celebration. You must be hard-working and willing to go the extra mile. You must have a good driving record. You must be a person not afraid to enforce rules but also possess a fun-loving attitude. You must be attentive to customer service. 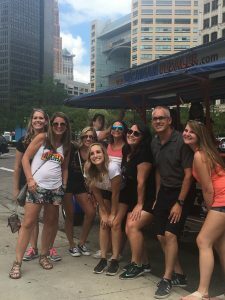 Driving for The Michigan Pedaler is an ideal summer job for students in graduate school, teachers, or other people looking to stay busy in the summer while having a lot of fun. It is a great job for firemen or police officers who have multiple days off in a row and are looking to stay busy. The pay is well-worth taking on a second job to earn money for travel, school, or just to have some extra fun money. Our busy season starts in April and goes until about the first week in November. If you think you know how to deliver #FunDoneRight, we’d love to hear from you.